Asia Pacific Superyachts announce new training programme that will allow superyachts to cruise New Zealand’s Fiordland pilot-free. Superyacht cruising in New Zealand has just received a huge boost with the news that for the first time it is now possible to undertake a training course to gain a Pilot Exemption Certificate when cruising in Fiordland. This exemption to the pilotage laws, developed in association with Southland’s Regional Maritime division, is available to superyachts via Asia Pacific Superyachts New Zealand (APSNZ). Thanks to its remote beauty and unspoilt waters, New Zealand’s Fiordland has long proved a must-do destination for superyachts. 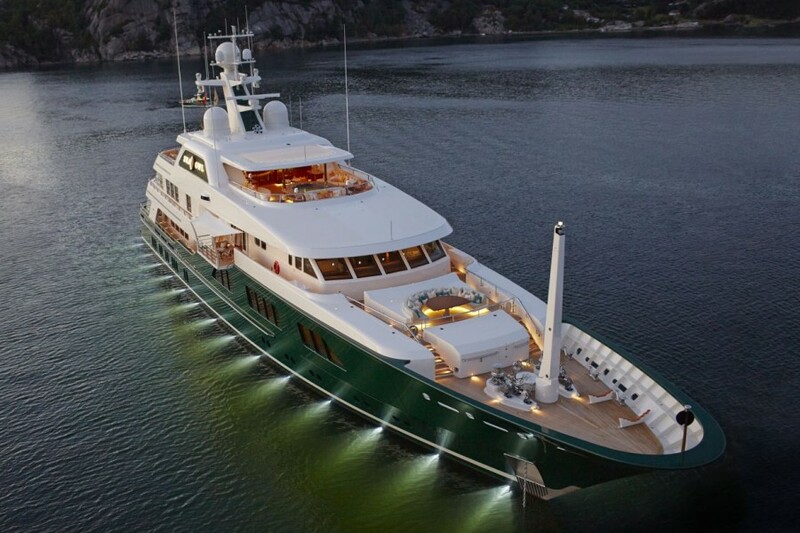 But, in recent years, cruising Fiordland has been hindered by compulsory pilotage for superyachts in these areas. Over the past 24 months APSNZ has worked closely with the Southland Regional Maritime Manager to help develop this programme and clear the way for more superyachts to enter the Fiordland region and cruise with guests without the requirement of a full time on board pilot“The necessity for a pilot to be onboard whilst cruising Fiordland was always one of the main stumbling blocks for our superyacht clients considering cruising the region,” said Duthie Lidgard, Managing Director of Asia Pacific Superyachts New Zealand. “The South Island, and particularly the Fiordland region, is an amazing place to cruise and we wanted to help open the area up and make it a viable destination that every visiting superyacht could realistically consider.”These two years of hard work have paid off, with a new Pilotage Exemption Certificate (PEC) Structured Training Programme, specifically for SUPERYACHT MASTERS up to 6000GRT, now up and running. Requirements and documentation for the programme will need to be submitted via a superyacht agent, well in advance of the yacht’s arrival in New Zealand. Asia Pacific Superyachts welcomes all inquiries from yachts looking to come to New Zealand and cruise the Southland Fiords, undoubtedly one of the wonders of the world. Duthie Lidgard is available to discuss the new programme in full, and will also be present at the Monaco Yacht Show to answer any questions about cruising, chartering and luxury tourism within New Zealand. APSNZ is in the middle of an extremely successful summer cruising season, with record numbers of yachts coming to New Zealand over 2014/2015. The country is proving an increasingly popular choice for superyachts, thanks to a combination of diverse and unique cruising grounds, a strong cultural heritage, safe berthage and world-class provisioning. “New Zealand is relaxed, but we keep levels of service as high-end as possible,” said Lidgard. “The clients are comfortable, there’s no harassment from media and nobody knows them. They feel safe and comfortable and they don’t need security. It’s a secure, welcoming nation and, combined with the attention to detail and service that New Zealanders deliver, that’s the icing on the cake for our guests.”As well as its work to open up cruising in New Zealand, the company is continuing to promote New Zealand throughout the world. Tobin has just returned from a successful trip to the Caribbean, talking to new new clients about the opportunities opening for superyachts cruising in NZ, including the Pilot Exemption Certificate programme, bio-security entry into New Zealand, facilitating pets on board and more.